There’s nothing quite like helping people less fortunate than ourselves, especially when there’s cake involved! It’s time for The Fine & Country Foundation’s annual Coffee Morning. Those of you who participated last year know what to do, but this year, we’d like to have 100% participation from our offices and invite anyone who would like to take part. But what is a coffee morning? Email The Fine & Country Foundation to register at foundation@fineandcountry.com or call +44(0)20 3368 8221. Start marketing. All the materials can be downloaded on the Member’s Hub or contact us if you are not a member. The Foundation will market your event on social media for you as well. Make sure everyone is baking something different. If you aren’t fond of baking, buy some cakes or biscuits. Providing a healthy option is always a good idea, just in case your customers have allergies. Label everything: gluten, nuts and diary are the main ones to watch out for. Decide on pricing. You can either set a price or write a 'suggested donation'. Remember this is for a good cause and people have put time and effort into baking. Show off! Take photos, post them on social media and send them to the Foundation. We’ll repost our favourites on Twitter and Facebook. Q: What is a ‘Coffee Morning’? A: A Coffee Morning is a day during the year when you and your team open your office to the public. You provide treats and coffee for sale, and invite passers-by to come in and have a chat. All the proceeds you collect will go to a homelessness prevention charity or shelter. 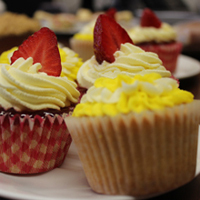 Q: Why should I host a Coffee Morning? A: Inviting the public helps familiarise people with your brand and shows them that you care about more than just the bottom line. You can invite former clients to the coffee morning to refresh yourself in their minds, and even use the Coffee Morning as a tool when you’re door-knocking as a way to get a second meeting. 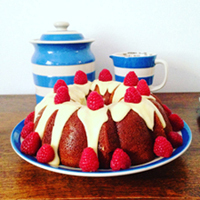 Q: How do I host a coffee morning? A: Hosting a Coffee Morning is easy. Simply choose a date and let your staff know, and start marketing your event around town. Our 2018 Coffee Morning will be on Thursday 17th May. The Fine & Country Member’s Hub has a host of marketing materials that are available for you to download, and The Fine & Country Foundation will market your event on social media, too. If you’d are not a Fine & Country member or would like more help, don’t hesitate to get in touch with us at foundation@fineandcountry.com. Want to personalise your marketing? That’s no problem, simply contact the studio at studio@fineandcountry.com. Q: I’m more of a Harry Hill than a Mary Berry. Can I still host a coffee morning? A: Of course. 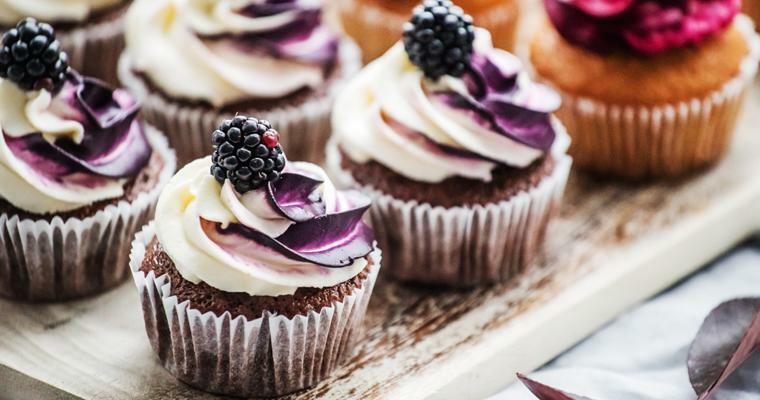 You can outsource baking to other members of your staff (remember to make a list of the baked goods, because seven carrot cakes will be harder to sell than seven different types of treats), and you can always pop to the shops to purchase a delicious cake or some biscuits. Bake sales don't require a great deal of effort, just a few helping hands to bake and eat the scrumptious treats. 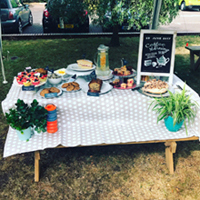 Would you like to host your own coffee morning? Great! Take a look at our handy checklist for you to walk you through every step of your event. Please don’t hesitate to get in touch if we answer any questions. Do you need inspiration? Take a look at some of the photos from last year’s coffee morning here, and start planning your recipes!